Located near the intersection of 24th Ave SE and E Imhoff Rd, Extra Space Storage serves residents of Norman and Hall Park. Locals will recognize our facility just north of Kwick Stop and CrossPointe Church. Are you a college student in Norman who needs self storage over the summer or while studying abroad? Extra Space Storage is about 3.4 miles from The University of Oklahoma, making us the best option for you! Extra Space Storage on 24th Ave SE offers a wide selection of storage units, climate-controlled storage, vehicle storage, and exceptional security. 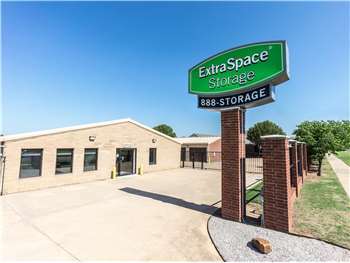 We're the storage solution you can count on in Norman! Our Norman storage facility offers units ranging in size from 3x5 to 20x30, making it easy to store items large and small. We also have units with features like indoor access, first-floor access, and drive-up access! At Extra Space Storage, we're committed to your safety. That's why our 24th Ave SE storage facility has an on-site resident manager, 24-hour video surveillance, and electronic gate access. When storing temperature-sensitive items in Norman, a climate-controlled unit is highly recommended. This feature keeps your unit between 55? and 80? at all times, protecting items from extreme heat and cold. Units with climate control are available in sizes 5x10 to 10x30. Need to store a vehicle in Norman? Extra Space Storage offers 9x14 to 10x30 outdoor parking spaces and 10x10 to 20x30 enclosed drive-up units that can easily accommodate cars, motorcycles, boats, and RVs. Extra Space Storage delivers high-quality, reliable self storage and excellent customer service! We maintain a clean, secure facility at all times, and our friendly, professional staff is available to answer questions and provide assistance whenever you need help. Contact us today to reserve a storage unit in Norman! The best customer service ever. Alex was understanding and got us in and out no problem. Quick and easy. Great location and clean environment. Storage companies should look to this one for advice. Alex, manager, was very friendly and extremely helpful. The storage space is very clean and access is very ease. I would recommend this location to others. I HIGHLY recommend this location to anyone looking for an amazing experience with great customer service. I immediately felt very welcomed and like I was just another part of the family. If I could give Lindy 10 stars I would. The units are nice and clean! So far has been great. Staff is wonderful i hope everyone will know what is like to store belongings at a place that cares and likes thier job. reserved online, received confirmation. it was easy and moved house furniture into storage. I needed storage in Norman close to OU. I did some initial research online and decided to use Extra Space Storage. I am glad I did. I pre-reserved the space online. It was super easy to finish the transaction. The manager was very helpful and friendly. She explained everything. Driving by another choice, I know this was the best choice. I would recommend this location to anyone in search of storage. Affordable prices with Amazing customer service. Lindy and the rest of the crew were very helpful and very positive! She actually took the time to best fit my needs, and not just make throw me into something I didn’t need. She was very professional as well as respectful! The storage unit is very well clean and very protected. Lindy made sure to give me all the info I needed to ensure that my stuff was safe! Overall I’ve had an amazing experience with this company and I would recommend very highly. Very helpful and friendly ppl..prlces are good and fair...check them out.. Very generous people. Very helpful. Great Prices. I've used the location on 24th St in Norman a couple of times now. Best customer service I've ever had by far! The landlord never fails to put a smile on my face. Very safe, reliable place. :) I'll always come back! The staff made the process easy from start to finish. Very competitive on pricing. Super glad I picked this place! I was leaning towards a specific unit but the site manager said it was probably too much, she didn't try to upsell which was nice. 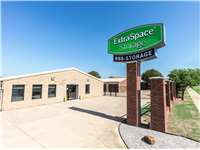 excellent staff, clean facility, location to my residence, great prices for indoor storage, hours are convenient and doing up the contract was easy and quick. I was in my unit in no time putting things away. The onsite manager was so nice and helpful and walked me through the process since it was my first time. She went above and beyond to make sure I had everything I needed and when I forgot a lock in the moving chaos she provided one for me which wasn't even in her job description. She was awesome! I would definitely reccommend this storage! The staff was very helpful and friendly and made me feel comfortable. The lot itself looked extremely secure and I like how there is a gate so not anyone can get in. The unit is nice and I like it. Great service and the worker in the office was very willing to help and find me the best deal! This is my second time renting from Extra Space and I would do it again! Great value, well maintained, secure and excellent customer care. Highly recommend if you are looking for storage options. On site management was great, she helped us find the best solution for our needs and took care of us so we could get the unit rented and moved in all in one trip. I think it was less than 30 minutes from start to finish. She was quick but through and made sure we understood everything before sending us on our way. Staff was very knowledgeable and helpful. The deals and offers were the best for all the sizes I looked at. Staff on site and very willing to go above and beyond. Security is good, unit I have is nicely sized. Great customer service. Staff extremely helpful and make everything very clear regarding use of facilities. First time to use storage unit highly recommend this company. I just rented a unit today. I have been very pleased with the reservation process, checking into the unit & the help that I have gotten thus far getting started with my storage needs. The manager is a great help and willing to be available if we need her. Prices are extremely fair compared to other storage facilities. The unit was clean and the staff was very friendly and helpful. I highly recommend Extra Space Storage. Very clean, professional, well lit. I just wish they had 2 hour access. Great customer service by the manger. Don't bother looking elsewhere! This place is helpful and courteous! Mgmt truly goes above and beyond all expectations!!! I FOUND THE FACILITY CLEAN. THE EMPLOYEES WERE VERY NICE. THE PRICE WAS NOT BAD. SO FAR I WOULD RECOMMEND THEM TO SOMEONE. Found the property clean and orderly, the manager, Lindy, was most helpful and friendly. Very accommodating. Remember, bring a lock! The location was very convenient. The office manager took time to make sure we felt comfortable storing my daughters belongings while she was in between college apts Manager was very professional and personable. I just have to say that Lindy and the folks at the Norman, Oklahoma Extra Space Storage facility took care of me and provided an ease-of-use for this storage unit from the beginning of use until even after I moved out. Going above and beyond is not what I would normally expect for a service like this, but Lindy demonstrated this to me numerous times and I would recommend the service and the way she manages herself and the business to anyone, anytime.